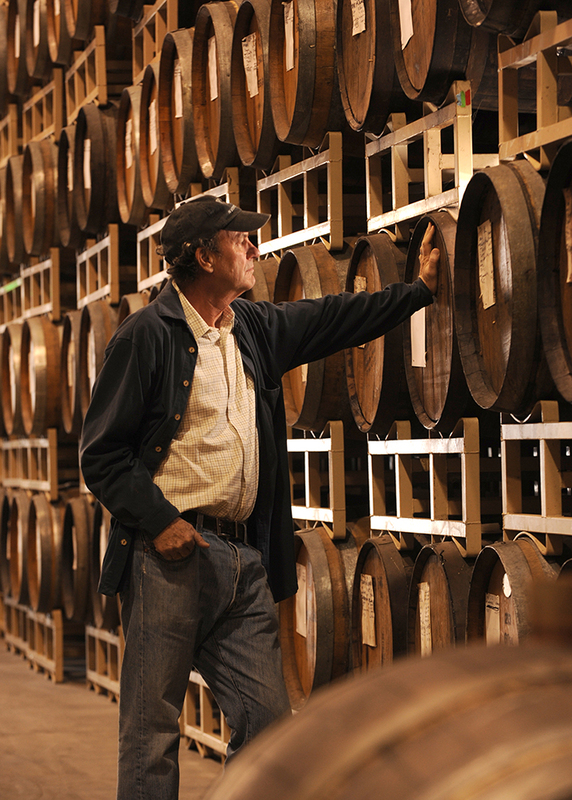 Andy Quady is a pioneer in both the wine and spirits worlds. 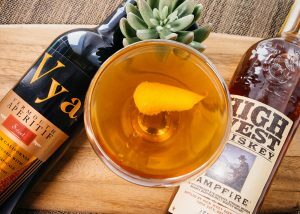 His craft California vermouths, Vya, are some of the best on the market. Andy graduated from Cal Poly Pomona with a degree in chemical engineering and starting working with military pyrotechnics. After meeting his wife Laurel in 1969, Andy discovered that he was becoming a fan of wine and decided to go into the industry. After graduating from UC Davis with a masters, the couple moved to Madera in 1976 and purchased a home in Madera County that had a carport bonded as a winery. They erected a small building on the property and crushed 50 tons of Zinfandel that September. 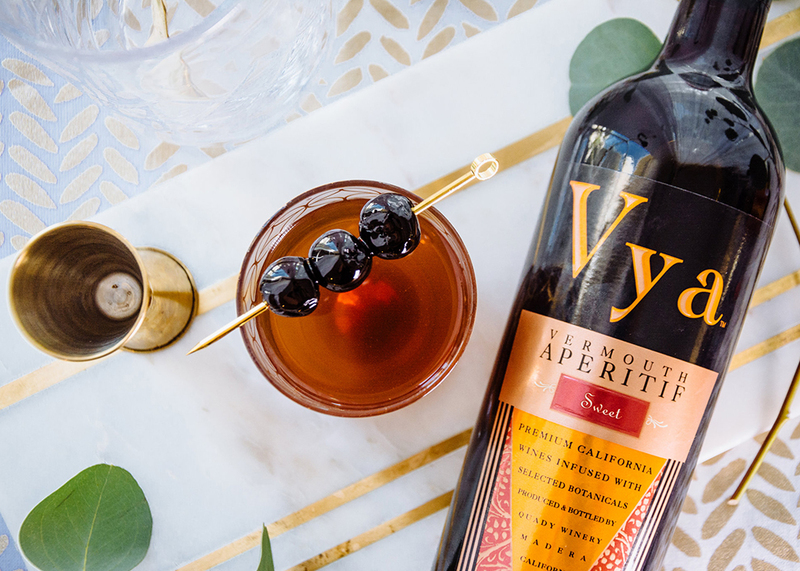 How did you come up with the idea to create America’s original craft vermouth? The idea was to improve on vermouth as we knew it. I wanted to make a vermouth that people would enjoy the way they enjoy other wines, for its flavor, complexity, balance, and drinkability. What is your go to cocktail for a Friday evening? Manhattan, Negroni or Martini? Any of the above. Although I do love a great Manhattan, where the vermouth, whiskey and bitters all contribute and are in balance. 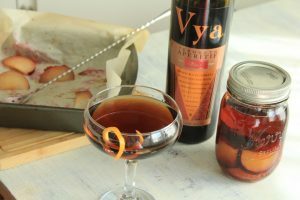 What was the transition from creating sweet wines (Moscato) to creating Vya Vermouth like? What is it like to work simultaneously in wine and spirits markets? I am always trying to sell our Vermouth as an aperitif wine, to be enjoyed on its own before the meal so in this case, the pitch is to the wine buyer. 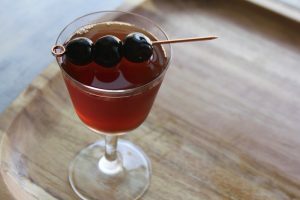 However, the biggest use of vermouth is in cocktails so it’s necessary to taste with the spirits buyer as well which often involves demonstrating the vermouth in a drink. Besides having distributors in 49 states, we also sell a significant amount of wine in a dozen or so foreign countries. And there are potentially many more export markets. In working with our agents overseas and traveling on our own to other markets where we may not currently have distribution one sees how cultural differences affect wine sales. For example, in Spain and Argentina vermouth is widely drunk on its own and is especially popular with young people. In the UK and the Netherlands, the dessert course is taken seriously, and diners frequently order a dessert wine as an accompaniment. In Korea where the food is spicy, low alcohol sweet Moscato is popular as an alternative to beer. If we told you that Manhattan Month was created solely as an excuse to enjoy more Manhattans, would you be disappointed? We think not! Well, it’s a hint of that, plus the perfect opportunity to explore what it is that makes the Manhattan such an incredible experience and support a good cause while doing it. From its unique history, taste, creative versatility and more – The Manhattan offers so much to explore, enjoy and share. The folks at Vya Vermouth thought it would be a great idea to set aside a whole month to do just that and teamed up with Chilled Magazine to do so. Manhattan Month starts by enjoying the honored cocktail in whatever shape, size and style you prefer. 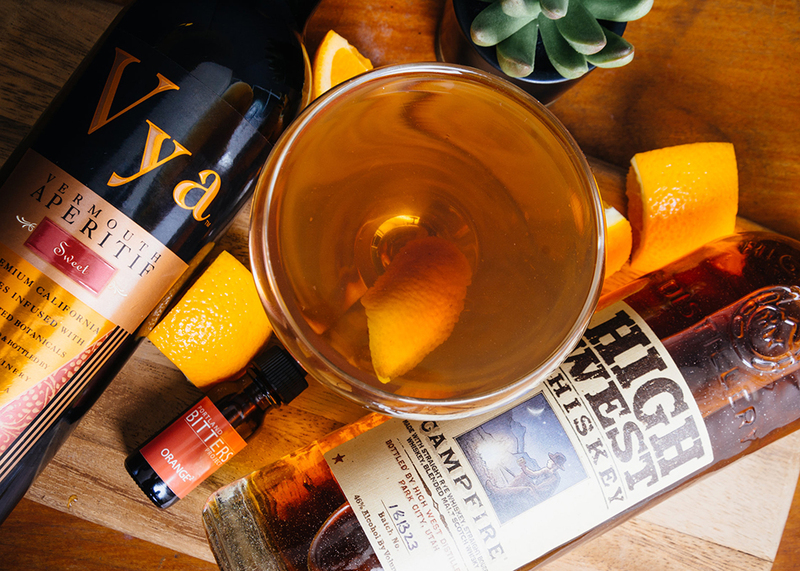 Mix it at home or visit your favorite bar/restaurant and have someone else mix it for you. Some venues will be offering drink specials on Manhattans all month long and contributions to a designated charity to boot. If your go-to spot isn’t, encourage them to! Take a photo of your tasty Manhattan and share it online using #ManhattanMonth. Be sure to invite your friends and family or they might get jealous – unless that’s what you’re going for. Add ingredients in a glass of ice. Stir for 10-20 seconds. 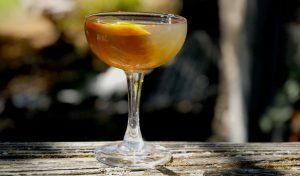 Strain into a chilled cocktail coupe and twist a swatch of orange zest. Stir well with cracked ice. Strain into a chilled cocktail coupe and Garnish with a cherry.